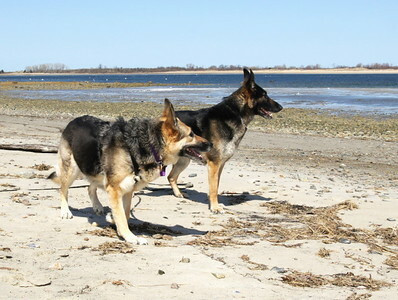 Sadie has a condition known as SARDS and had gone blind before we brought her into GSRNE. 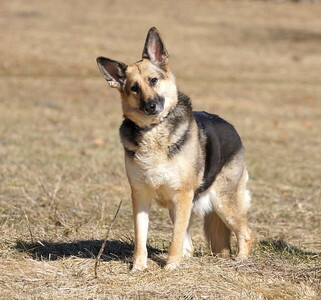 Her owner had divorced, lost her business, and was losing her home when she contacted us about Sadie. 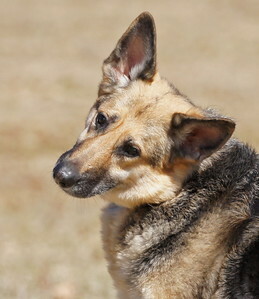 Sadie was adopted by Gail and Barbara on March 17, 2012. They gave her an amazingly good life. Sadie was a lovely dog– very sweet. She had so much love in her life. We are so glad we had a chance to know her. Sadie is doing well, and now she and Emma the Sheltie are great friends. Four of the eight cats now stay in the family room where Sadie is. Two of them “Keiko” the black tuxedo and “Joey” the gray one are her “buddies.” The days Sadie goes to the office she is like a celebrity, and is very comfortable moving freely around the office visiting her staff. The days she’s home, she goes for long walks and is outside frequently for playtime. Having two people in Sadie’s new home is helping her adjust to her surroundings. Since bringing Sadie home our lifestyle has changed dramatically. We love Sadie and are totally committed to giving her a wonderful life.